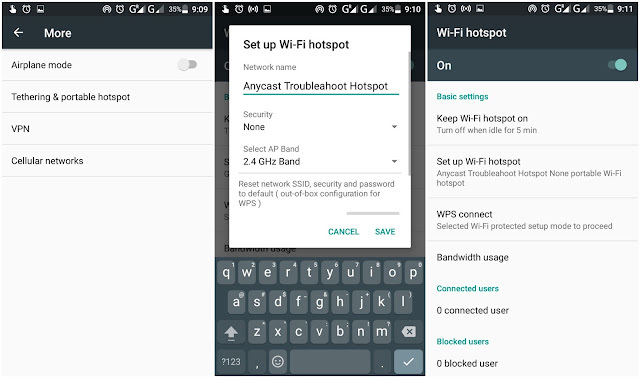 Some users reported that they are unable to connect Anycast to router. This article will hopefully solve that problem. What are the possible Anycast issues? 2. Grab another smart phone and create a new Hot Spot. The setup procedure will vary depending on your smart phone settings. 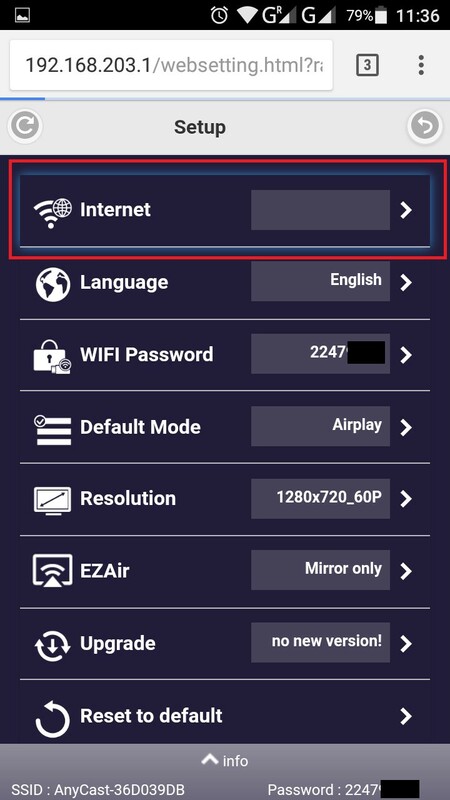 Click on the internet setup option and you should now be able to see the Hot Spot WiFi name that you've setup as well as your routers WiFi name. Connect to your Hot Spot WiFi and you're all set. 4. 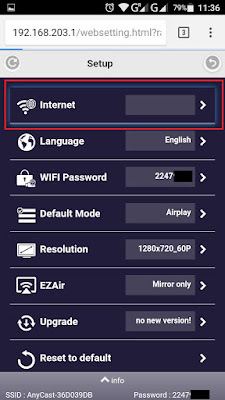 Once your Anycast M2 Plus Dongle is already connected to your router, you can now turn off the Hot Spot and use your smart phone and Anycast M2 Plus Dongle normally. UPDATE: There's a new firmware upgrade available. Should you upgrade? Read more. Hi! I would like to know if you can set up the anycast m2 plua in a wifi without internet connection. Also, what's the diffrence between this and the anycast m2? Hi Sany, Thank you for dropping by. Yes you can setup the anycast without internet connection, but you can only use the mirroring mode and not the streaming mode as it needs internet connection. Hi everyone, I have a problem. i bought my anycast a few months, and my version is 10.600 and i don´t have ant problem but, recently my iphone upgrade to ios 11 and my iphone airplay don´t shows my anyvcast only shows in the music menu as airdrop, and send the sound but not the image. I saw that upgrade to the new version is compatible with the ios 11. But i cant upgrade my anycast because the ip 192.168.203.1 can´t be connected. Can you help me yo resolve this problem? Hello, welcome to shopzadaph. 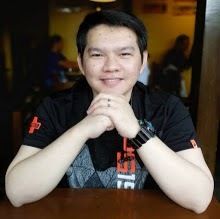 With regards to your problem, unfortunately i dont own an iphone to test that out but I will try to help you find a solution. Make sure that your anycast dongle is turning on, to verify that make sure you're on the main page of the anycast. Next thing to check is make sure the anycast wifi receiver is not being blocked so that it can be detected by your mobile phone/device. you can also try using other device to isolate the problem. I hope you can sort it out. Good Luck! Thank you I have tried all of that and still cant find it.This is my second any cast I have had unfortunately it go damaged as that one worked perfectly. If you have a blue screen page then it's possible that you're on an old firmware. however, even that is the case you shouldn't have any problem searching for the wifi using your device. 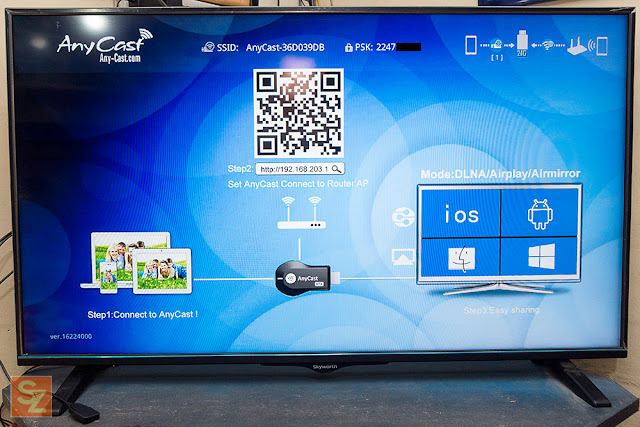 Can you try the anycast dongle on another TV? 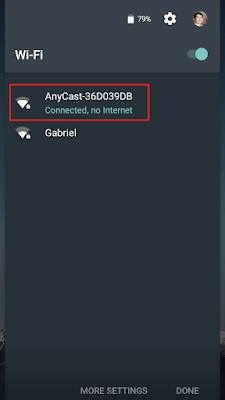 It's odd that you can't find the anycast dongle wifi ID on your device. Also, try changing modes and see if the wifi ID of the anycast dongle will pop up with either the miracast or airplay mode. hi how do i use my iPhone 4g connection to stream while using the anycast m2 in airplay mode? i forgot the password, how do i reset it? 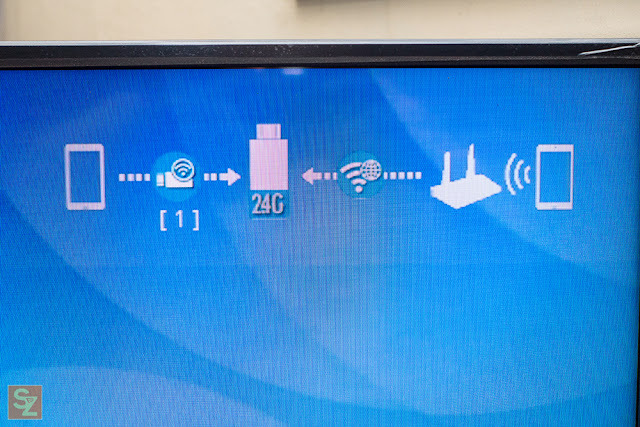 sir i have purchased a anycast m4 plus.it come with a different power cable means it does not have free end for wifi receiver.on connection it not shows blue color interface.but initially it show wi fi connection but not mirrored on tv. after 15 minutes. it stopped to give wi fi signals and tv on hdmi channel on connection interface disappeared after 5 to 8 seconds and tv screen becomes black. 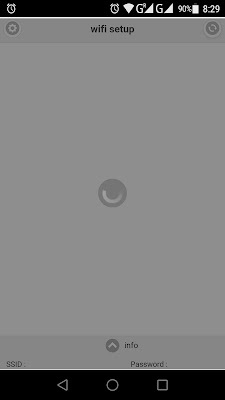 and in mobile not showing anycast wifi.i tried it on samsung and lg lcd tv with samsung,xiami and motog6 mobiles.please provide solution. I have purchased Anycast M4 dongel. However, when I tried to connect it is not working. I have connected Anycast M4 Plus device to my TV using phone’s wi-fi. The Anycast device is detected in my Lenovo Android phone's wi-fi. I connected to it. Then going to the Cast feature on my Android phone, the device is also detected. However, when I click on it, it says "connecting", but then ends with "Casting screen to Anycast-______ has ended" a few seconds later. Need help. What's the problem with this? Thank you in advance for the help. Anycast Wifi is not getting in my Lenovo k6 phone meracast mode some times it shows ssid with authentication problem no connectivity. 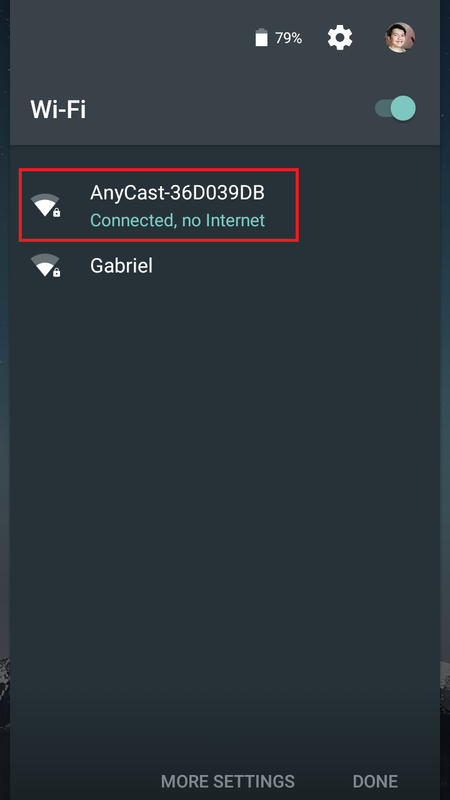 What to do when anycast doesn't show its SSID and password. I can't even connect it with its router since the SSID is not visible. I don't think if there's poor signal since I usually inserted it this place and this TV when its still in good condition. I also tried inserting it in other tv's in different places and status is still the same. SSID and password won't show up. However it does no show any SSID, Password or IP address. Am not sure what to do here because. 2. My receiver is in a clear space.